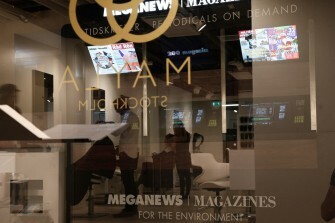 The owners and management of Meganews Sweden AB have adopted a setup of social and ethical guidelines. The company shall act with a purpose to promote the evolution of society in a favorable direction, mainly concerning economic, social and environmental considerations. The company shall base its activities on good business ethics. Through high ambitions and honesty the company shall try hard to deserve confidence from related partners, customers and the public. Cooperation with parties sharing the same values of equal value, freedom of opinion, the right to tolerable working conditions, union rights and safe working conditions shall be endeavored. The Company shall assume its responsibility for the environment. The effective use of natural resources and reduced emissions of harmful substances shall be vigorously pursued. The company shall counteract discrimination in all forms and promote democracy and equality. Special attention shall be given the most vulnerable in society primarily the victims of trafficking for sexual purpose.